This bundle is made up of new and salvaged parts. 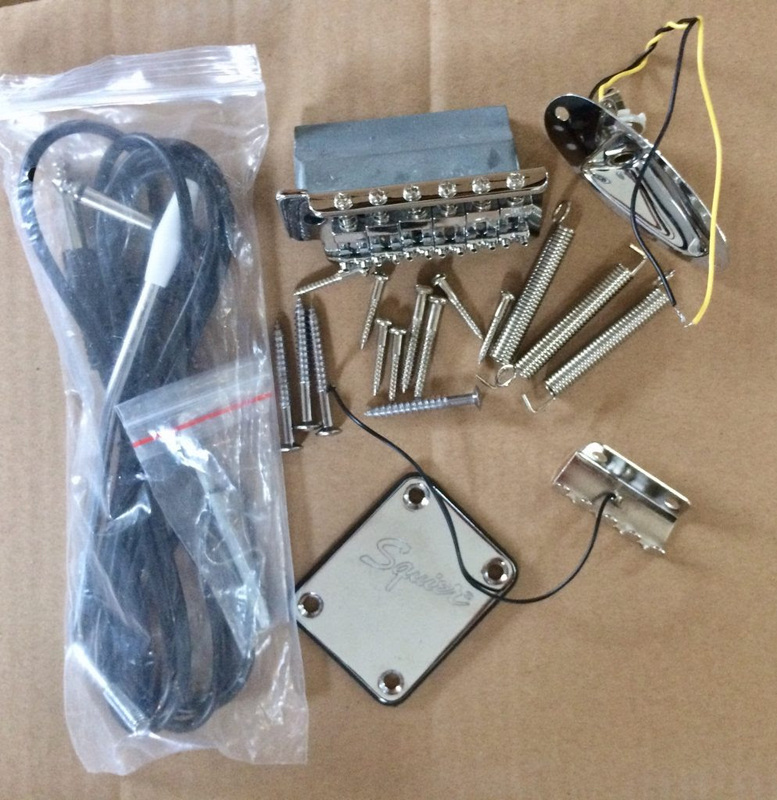 This Fender Squier tremolo bridge will drop straight into your project body, Fender or other Stratocaster style body. 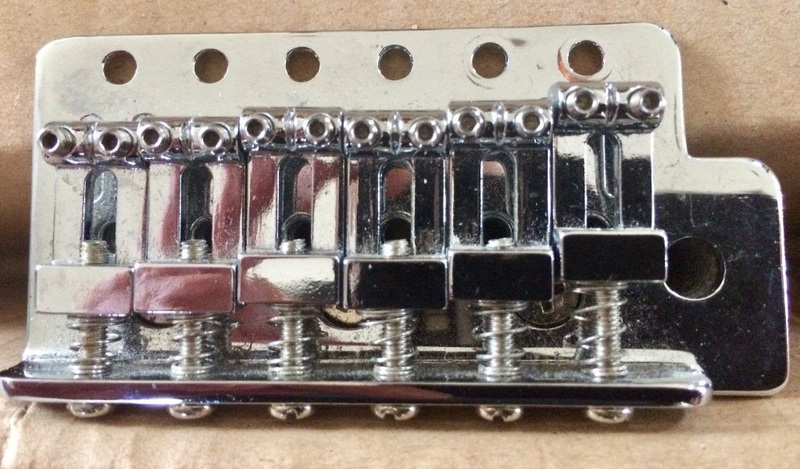 This Fender Squire bridge unit was removed from a genuine alder bodied guitar, it has the earlier saddles which are preferable to the more contemporary type and will make your project look more authentic. Included is: claw, bridge saddles, adjusters, Fender Squire neck backplate and plastic mount, chrome jack plug and boat, Allen Keys for bridge saddles and neck truss rod and spare guitar lead.